Extensive and post-modern beach front, newly constructed duplex Apartments enjoying 500sq.mtrs. of living space. The dwellings have a frame structure so all the inside walls can be brought down and new rooms can be erected. Both Apartments have their own 50 square meter yard, air conditioning throughout, large windows which overlook the bay, and also enjoy all amenities close by. 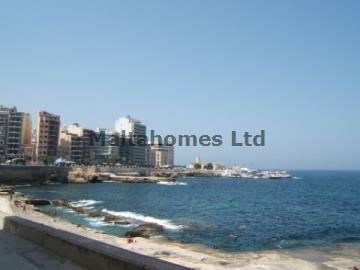 Furthermore, even though this block is found in a tranquil area, in Sliema one will find all kinds of entertainment facilities, ranging from daytime bars, to luxurious restaurants. This is truly a unique opportunity which should not be overlooked.